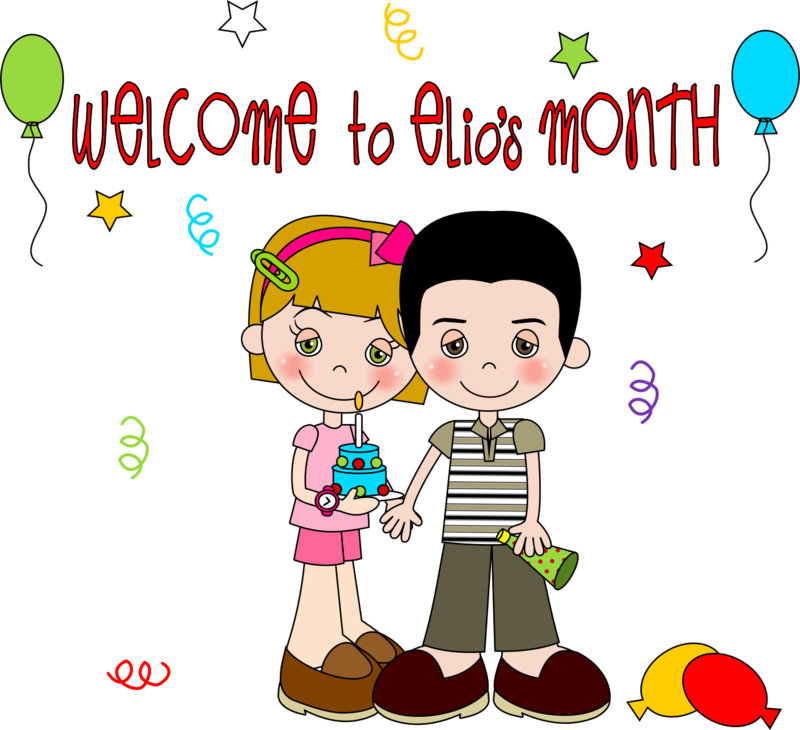 Poupées Shoppe: " Elio's Month "
To celebrate the birthday of my boyfriend Elio, the entire month of March, from day 2, I will have a special promotion in my Dollshop: Buy a kit, get one of equal price to your choice. 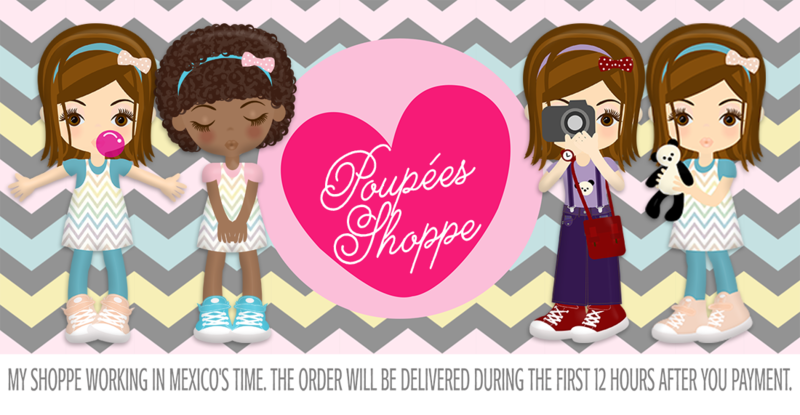 All you have to do when you make your payment by Paypal, in instructions to the seller, is to indicate the name of the kit you want to receive a gift, whether dolls or styles.
" Vickucha's Style Drawing "
Do you like to have your family on a Vickucha's Style Drawing? It's very simple just send me a photo and I will do it for you. The cost per family $10 USD. I will deliver your family draw five days after receive a photograph of your family and your pay. This price is for a family of 2 to 8 members.
" 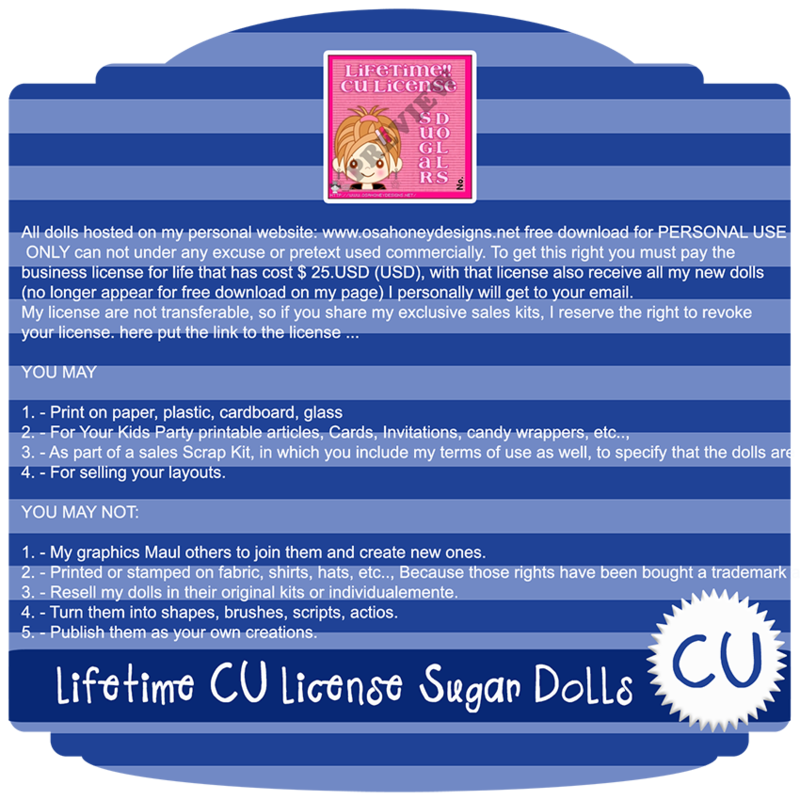 LIFETIME CU License Sugar Dolls "